When it comes to retirement savings, there are many money management myths and half-truths that can trip up your retirement planning. Some of these myths steal money from the present to pay for the future while some others just do not make financial sense for many average workers. Many of the myths have been touted by financial professionals for years and are just now being exposed for the myths that they are. Here are some of the most damaging money management myths and half-truths that can derail your retirement savings plan. Conventional wisdom says that you must save as much as you can for as long as you can to ensure a comfortable retirement. However, many people take this too far, sacrificing their quality of life today in the hopes of having enough money to take care of all of their retirement expenses in the future. A better plan would be to actually calculate how much money you actually need to save to meet your retirement goals, factoring in the income you expect to receive during your retirement years from Social Security and other income sources. This will give you a solid number for what you should hope to save out of your income each year and allow you the freedom to spend the rest as you see fit. Since a mortgage payment is one of the biggest monthly expenses for a household, it makes sense to many people to pay off their mortgage as quickly as they can to eliminate this expense for their retirement years. What many people fail to consider is that the interest rates for mortgage loans are quite low, much lower than the interest rate that you will pay for other financial products, like credit cards and personal loans. If you have additional money to spare, it may be more financially responsible to pay off any high interest debt you are carrying rather than dedicating that money to paying off your mortgage sooner. Paying off high interest debt will free up more money for your retirement savings. 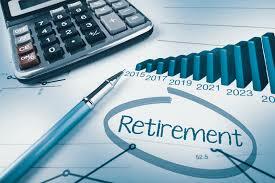 Many people believe that using tax deferred retirement accounts is the best way to ensure that they will have the money that they need during their retirement years. The truth is that purchasing assets that provide you with a positive cash flow during your retirement years may be much more effective at providing you with the money that you need. Instead of slowly draining your retirement savings accounts, you can generate an income and take the minimum withdrawal amounts from your accounts to help your money last longer.